John Cassidy of New Yorker has a superb profile of one of the Men at Centre- Ben Bernanke. It discusses how a low-profiled economist (though always a great economist) went onto get the job of the most powerful economic policymaker in the world. The line of dissent was whether mon policy should target asset prices. Greenspan and later Bernanke said it shouldn’t and can’t. White and Borio said it can and should. But yeah, this American economist vs other economist ios a worthy debate. 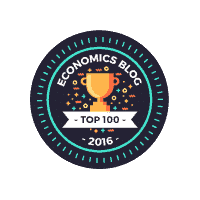 Why don’t other places produce as good economists? In search of home grown economists and phd education is relevant to most. Should Monetary Policy target asset prices? In sum, I am not convinced that the events of the past few years and the current crisis demonstrate that central banks should switch to trying to check speculative activity through tighter monetary policy whenever they perceive a bubble forming. The recent experience may have made us a bit more confident about detecting bubbles, but it has not resolved the problem of doing so in a timely manner. Nor has it shown that small-to-modest policy actions will reliably and materially damp speculation. For these reasons, the case for extra action still remains questionable, despite our having learned that the aftermath of a bubble can be far more painful than we imagined. So Kohn’s views stay the same- monetary policy can’t target asset prices. Though his views over the damage asset prices can create has changed ( he had underestimated the damage earlier). While the argument that central banks should factor in the long-term implications for output, and thus also inflation, of credit/asset-price boom-busts is persuasive, there are practical difficulties in pursuing a ‘leaning against the wind’ policy. These include the need to decide whether an asset price increase is warranted or whether it is based on misplaced expectations and poses a threat to future macroeconomic stability and the possibility that a rate increase might trigger exactly the bust one is worried about. But then central banks are called on to make difficult judgements all the time. In my view, the most important qualification is simply that a modest increase in the official interest rate is unlikely to do much to restrain a credit/asset-price boom that is in full swing. It is simply not credible to believe that the UK house-price boom that is now unwinding would never have happened if only the Bank’s Monetary Policy Committee had set official interest rates just a little bit higher. But an increase large enough to have had a material effect would have also depressed activity significantly.I doubt that people would be prepared to accept the clear short-term costs of such a strategy in return for the uncertain long-term benefits. This is pretty true. People are too focused on short-term gains and long term is ignored no matter how much costs it could lead us to. This is also one of the central tenets of behavioral economics. San Francisco Fed Senior economist Kevin J. Lansing has also written a neat short note summarising the issue. The painful unwinding of bubble-induced excesses, first with the U.S. stock market in the early 2000s, and now with the U.S. housing market, has spurred debate about the appropriate response of monetary policy to asset price movements–either on the upswing or the downswing. Important unsettled questions remain about whether central banks should lean against asset price bubbles and the degree to which central banks should attempt to mitigate the economic fallout from speculative losses. In any case, further research on the links between monetary policy and asset prices is needed. It is back to basics. There are 2 problems which are taking us back to the Great Depression times- Slumping economy and possibility of deflation. I came across original pieces by economists who researched on these 2 problems- Keynes and Irving Fisher. Here are 2 Keynes pieces – Great Slump of 1930 , Economic Advice for US President. Both look as if written today. This reminded me of the Nobel Prize Lecture by economist Theodore Schultz. Each word of that speech was relevant for the food crisis in 2008. Who says, economics has changed and we have learnt the lessons? When developing countries get into a financial crisis, the problem must lie with their venal politicians and lack of financial discipline. When it is U.S. that is in trouble, the fault must lie with the system. Of course. 6. CTB points is lack of trade finance the real issue? China cuts rates by 108 bps! The People’s Bank of China (PBOC) cut benchmark rates for one-year loans and deposits by 1.08 percentage points, lowering the cost of one-year borrowing to 5.58 percent and the rate on 12-month certificates of deposit to 2.52 percent. Chinese Govt has taken series of measures to restore confidence and keep growth momentum in the economy (see summary of measures here). China’s economy forecasts are mixed. IMF in its recent Asia Outlook said it would grow by 9.7% in 2008 and 8.5% in 2009. It has revised its forecasts downwards from October projections by 0.1% and 0.8%. On the other hand, World Bank in its latest China report (summary here, has forecasted China would grow at 9.4% in 2008 and 7.5% in 2009. So, 2008 forecasts are near same but 2009 forecasts are quite different. MR. CHALK: I’m Nigel Chalk, Division Chief for the China Division of the Fund. Maybe I’ll talk about the China forecast specifically, and perhaps Jerry can talk a little bit about the impact on the region. For China, we see growth next year around 8-1/2. That incorporates what we expect to be their fiscal stimulus program, although the details of that are still evolving, and also the monetary loosening that they’ve done so far this year. That range of 8 to 9 is a similar range that the government also I think has in mind and we’re fairly comfortable with that range. So, much will depend on how fiscal stimulus shapes up in China. Harpreet,a regular reader of Mostly Economics points to a Economics Search Engine by Google. Thanks Harpreet for the pointer. Munis next to be included in TALF? Fed has initiated a new facility – Term Asset-Backed Securities Loan Facility (TALF). Under the TALF, the Federal Reserve Bank of New York (FRBNY) will lend up to $200 billion on a non-recourse basis to holders of certain AAA-rated ABS backed by newly and recently originated consumer and small business loans. The FRBNY will lend an amount equal to the market value of the ABS less a haircut and will be secured at all times by the ABS. The U.S. Treasury Department–under the Troubled Assets Relief Program (TARP) of the Emergency Economic Stabilization Act of 2008–will provide $20 billion of credit protection to the FRBNY in connection with the TALF. I had seen this support for student loans, auto loans, credit card loans etc coming. This along with Fed’s decision to purchase USD 600 bn of securities of GSE, makes it a USD 800 worth of bailout. And if we include USD 326 billion of Citi’s bailout, it is a trillion dollar support from US authorities in a week. I had pointed in my reportthat original TARP plan of USD 700 bn will not be enough at all. The auto companies might also be bailed out soon. All this makes the already huge US budget deficit bigger and the probability of it being a future disaster increases. However, a look at the recent Minnepolis Fed research (read the entire report here) tells me another type of security is under trouble – Municipal Bonds (called popularly as Munis). Sec chief Cox had said Munis are facing severe stress is reinfoced in this study. Munis are under trouble We could see Munis being extended to TALF or a separate program to resurrect it. The total outstading Munis in US is about USD 2.9 trillion, out of which 49% is insured. Maximum bonds are issued by California followed by New York and Texas. So, it is quite big. In the investment world, municipal bonds are often described as plain vanilla, for their simplicity. Over the past decade, however, financial markets have developed sophisticated variable-rate products that delivered cheap financing for municipal bond issuers. Thanks to recent volatility in financial markets, two of those products—so-called auction-rate securities (ARS) and variable-rate demand obligations (VRDO)—now have their own ice-cream name: rocky road. Both types of bonds are floating-rate, tax-exempt bonds whose rates reset periodically (usually weekly or monthly, depending on the bond). This design allows the borrower to issue long-term debt at very attractive, short-term interest rates because the bond is repeatedly resold in secondary markets, giving investors high liquidity. In essence, these bonds were advertised as money market funds with better returns. From virtually zero in the mid-1990s, both ARS and VRDO markets have grown considerably (see chart). In 2007, together they captured better than 20 percent of the municipal bond market, according to data from The Bond Buyer. And then the problems started in Munis with liquidity crisis, downgrading of bond insurers etc leading to higher interest rates and no takers for the bonds. Read the report for details. Another case of financial innovation gone awry. Now number of market participants hold these bonds and this has become quite illiquid as well. The states would need monies to finance their programs and the pressure is more to spend as crisis worsens. With dry markets either they pay higher rates or get no takers at all. First leads to higher costs and second leads to no resources. Both being uncomfortable situation for states. Hence, they could ask for help from Centre. FT Aplhaville points that UK Chancellor Alistair Darling has warned that if banks do not open up their credit lines, he could nationalise them! Much though still remains to be done and very significant policy challenges lie ahead. Domestically, the most pressing is to ensure that normal bank lending is resumed. Without that, the downturn in activity could become protracted and extremely damaging. There is also work to do to guard against future financial crises. Given the global nature of our financial system, much of that will need to take place at an international level. In particular, reforms of the international monetary system and improvements to the regulation of banks’ capital and liquidity provisioning are priorities. The chancellor wants regulations that would force banks to give companies more notice of any change in lending practices, including withdrawal of credit lines or sharp changes in interest rates. He is also looking at ways to extend government guarantees to support new business lending, building on existing proposals designed to release funds for mortgage loans. Separately, Mr Darling wants to clarify capital adequacy rules to make clear that newly recapitalised banks do not need to sit on a fat cushion of capital and that regulators expect them to lend during the recession. If these changes fail to reopen credit lines, Mr Darling has a range of options, including a last resort of nationalising the whole banking sector. Banks reject the suggestion that they have reined in lending in spite of the deteriorating economy. Lloyds TSB says its lending to small and medium-sized businesses is up 18 per cent year on year. 1. WSJ Blog points FDIC indicates problem banks grow to 171 in Q3 from 117 at end of Q2! 4. Krugman in a post points to the recent Fed move to buy obligations of GSE and says he is confused. This post does suggest that there is nothung like Truce between him and President Bush. 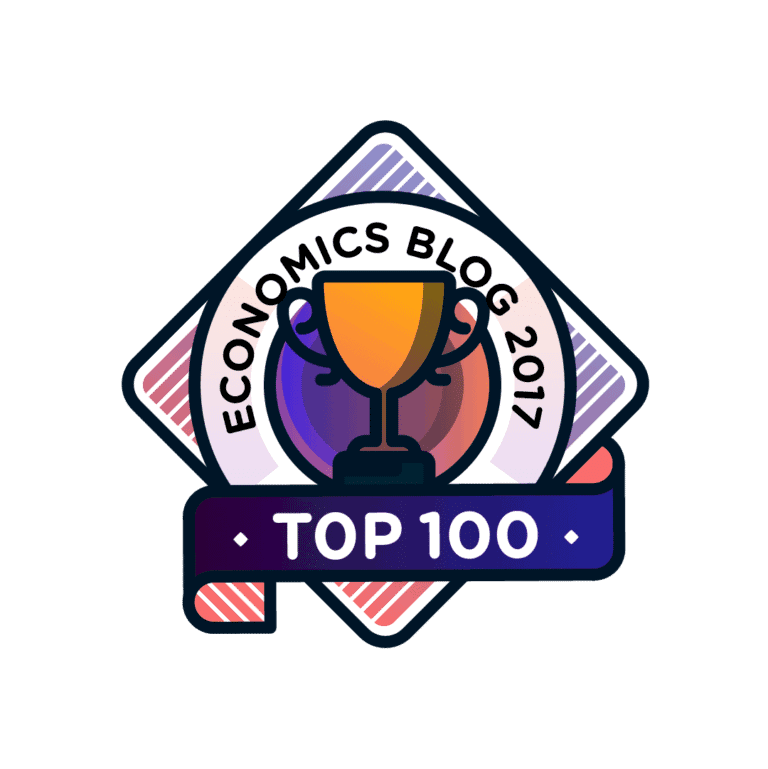 Mostly Economics ranked 7th now! I don’t really like to point all this as it sound like some sort of weekly ranking countdown. However, have to keep updating the readers (esp the regular ones) of the new developments wrt Mostly Economics. Why US yields continue to fall? Why are investors rushing to purchase US government securities when the US is the epicentre of the financial crisis? This column attributes the paradox to key emerging market economies’ exchange practices, which require reserves most often invested in US government securities. America’s exorbitant privilege comes with a cost and a responsibility that US policy makers should bear in mind as they handle the crisis. I had written a paper in Jan 2008 asking whether the crisis (it was sub-prime then) unwind the global imbalances? I don’t see it happening as demand for USD assets continue, despite a huge crisis and problems in US economy. IMF hasapproved 1 USD 2.1 billion package for Iceland. Actually, IMF has agreed to pay $2.1 billion and Iceland would need about $5 billion to keep afloat. Where did this $ 5 billion come from? In a conference call, IMF explains the details. QUESTIONER: In Article 24 of the Icelandic Letter of Intent, it is commented that there’s a need for $24 billion until the year 2010. Can you explain this to us? What is this amount for and how does the IMF see this? MR. THOMSEN: Yes, I can explain that to you. The $24 billion has three components. One component is the estimated cost of paying on the foreign deposits, which when this was drawn up it was estimated at close to $8 billion. With the information we have today, we think this is a significant overestimation. So probably it’s closer to $5 billion, $6 billion, something like that. That part of the financing is already assured in the sense that the concerned countries and particularly the UK and the Dutch have agreed to provide financing earmarked for the payments of these foreign deposits. So, of the $24 billion, or if we have the more recent, more realistic number of probably $21 billion or $22 billion, $5 billion to $6 billion is already secured through the commitment of the UK, Dutch and any other countries that will get payments to provide financing earmarked for this. Secondly, there is an estimated $10 billion in arrears to private creditors. These are payments. When we calculated the $24 billion, or the corrected $21 billion or $22 billion, we assumed that all payments are being made. Now we know that these payments, this $10 billion, are not being made. So we have a counter item below the line of $10 billion of arrears that will be subject to discussions between the banks and those that are administering the banks now and the foreign creditors. That’s also, so to speak, taken care of in the financing picture. This leaves this residual financing gap, cash financing gap of about $5 billion. It’s another way of saying, in the jargon of economists, when we do the balance of payments, we do it on an accrual basis, what is due. What is due gives you a financing need of $24 billion, that is $21 billion or $22 billion, corrected. If we did all of this on a cash basis, the $24 billion would only be $5 billion, and that’s the $5 billion we’ve been talking about. I realize that this way of putting it sounds somewhat strange for somebody who is not in the IMF world, but this is the way we present it. We have to present the balance of payments on an accrual basis, what is actually due, not what are the actual payments taking place. So actually Iceland needs $21-22 billion out of which around $15 bn to $ $16 bn have been worked out. Remaining is around $ 5-6 billion out of which $ 2.1 bn comes from IMF. What happens to the rest? QUESTIONER: How sure are you that Iceland will get those $3 billion from other countries? MR. THOMSEN (IMF): I’m confident that we will get the $3 billion. I’m very confident. Talks are on with other Economies (like Russia) to provide the rest. US Automakers: to be bailed out or not? There is a lot of debate on whether US automakers should be bailed out?For the motion believe that these automakers employ a number of people and a collapse at this point would worsen the economic situation. Against the motion says these companies are not producing cars no one wants and should be left on their own. House Committee on Financial Services had a hearing where academicians and automakers presented their views. Christina Romer in a superb paper on Great Depression summarises the causes, recovery of Great Depression. She also provides information on how Great Depression in US spilled to other economies. So, in US it started in Q3 1929 and recovery began in Q2 1933, in UK it started in Q1 1930 and recovery started in Q4 1932. Surprisingly, In Canada and Germany (in Germany it started in Q1 1928) the economy worsened before it did in US. In Italy, Belgium, Argentina, Poland, Brazil it started with US in Q3 1929. As far as recovery is concerned, US is the last to start recovery in Q2 1933 along with Canada, Czechoslovakia, Denmark, Poland. What was even more interesting is India is in the list as well. The Depression started in India around Q4 1929 (one quarter after US). The recovery started in Q4 1931 implying India came out quickest in the list. This is quite interesting – India was impacted by the Great Depression as well. I don’t have statistics to see what was the impact like on growth (did GDP decline by 30% like in US) , inflation (did India face deflation too) etc. What I am also interested in finding is how the Great Depression that impacted India? What were the channels? India was a British colony then so one channel could be that Depression in UK impacted India (a comparison with other UK colonies during this time would also be very interesting). Other channel could be that US originated Depression impacted India directly as Indian economy was open to trade and financial flows. Interesting avenues for further research and makes a good PHD thesis topic. If readers come across any papers on the topic, please send me a copy. 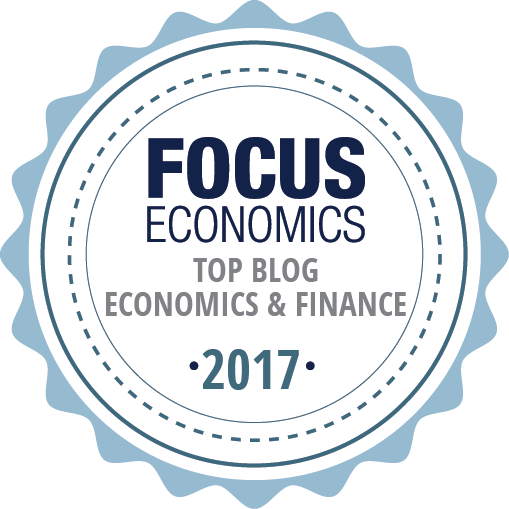 Vivek Hirpara, a reader of this blog points this interview of Robert Aumann, Economics Nobel Laureate 2005. He says it is a very useful resource on Aumann and his work. I have never read Aumann as always found it tough. This interview should help. Thanks Vivek for the pointer and keep sending such useful stuff. Going to this previous weekend the main concern was the problems with Citibank. In the weekend, there were numerous talks and views on how to save Citi. As part of the agreement, Treasury and the Federal Deposit Insurance Corporation will provide protection against the possibility of unusually large losses on an asset pool of approximately $306 billion of loans and securities backed by residential and commercial real estate and other such assets, which will remain on Citigroup’s balance sheet. As a fee for this arrangement, Citigroup will issue preferred shares to the Treasury and FDIC. In addition and if necessary, the Federal Reserve stands ready to backstop residual risk in the asset pool through a non-recourse loan. In addition, Treasury will invest $20 billion in Citigroup from the Troubled Asset Relief Program in exchange for preferred stock with an 8% dividend to the Treasury. Citigroup will comply with enhanced executive compensation restrictions and implement the FDIC’s mortgage modification program. So, a bit of both for Citi- Guarantees for Assets and Capital infusion. (For a detail on TARP, see this) . Unfortunately, the taxpayers can never really understand what is going on. As I have said in numerous posts (see this for an example)- private sector financial engineering and complex statements are being replaced by public sector. The former used shareholders money and latter are using taxpayer’s money and both not explaining what is really going on. James Kwak (of the superb Baseline Scenario Blog) tries to explain the deal and says – Citigroup Bailout: Weak, Arbitrary, Incomprehensible. US Small Business concern- lack of credit or demand? Fed Governor Ronald Krozner has given an excellent speech on the status of small business lending in US. I had pointed to a few papers on the issue of whether bank lending has declined or not in US. This speech pretty much confirms that bank lending situations has worsened in US. Krozner does not rely on the statistics but various surveys conducted by Fed and other agencies. He even looks at whether large firms are facing similar concerns to small firms. To summarize our conclusions, the information that we have received since April from both banks and small businesses suggest, rather convincingly, that over the last six months it has become more difficult for small businesses to access credit, but that at the same time, small business demand for credit has declined. Commercial banks, the most common source of credit for small businesses, have generally both imposed more-stringent credit standards and increased interest rate spreads and fees. 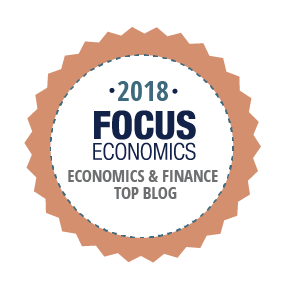 In addition, deteriorating financial positions in both the small business and the household sectors are almost surely reducing the creditworthiness of many small businesses and thereby constraining their access to credit. That being said, the information we have on the volume of small business loans suggests that credit is generally available, albeit on significantly stricter terms. In addition, small businesses generally report that reduced demand for their products and services caused by a lower level of economic activity is a more serious concern than is the tightening of credit supply conditions. Put differently, while credit supply concerns are real, the weakened state of the economy appears to be the more serious challenge facing most small businesses in the current environment. Importantly, there is some evidence that concern over access to credit is relatively stronger at larger businesses. So, Krozner indicates the concerns have indeed moved to demand side where the small businesses are expecting overall demand to decline. Hence, the decline in credit could be demand driven as well. This speech points US has plenty of data sources to access the situation. In India’s case (and other economies) we hardly have any sources of this type. And it is so difficult to assess the situation. I have been reading a lot of news and developments over India’s real estate sector. All I can say they created all the problems for themselves. I can’t say much about commercial real estate but in residential real estate market one could see problems right through. I have written plenty of postson how difficult it is to buy property in Mumbai and how expensive it had become. In Navi Mumbai, builders were either busy building luxury properties or those with penthouses, 5 bedroom apartments. The reason they said was demand was for such properties. One could never understand who would buy those properties? If people had that kind of money they could very well buy property near the area of work (which is usually South Mumbai) and save travel time as well. The people wanting to live/shift in Navi Mumbai were those that could not afford housing in Mumbai. There was a need to develop smaller flats at reasonable prices but at times of exuberance (no matter how irrational it could be) basics are ignored. Each of these properties became highly expensive and beyond budget for most of the people. The high prices were then pushed across sector and most of the properties started quoting at rates never seen before. There were properties which were almost 20 years old and quoted same rates as a new one and one wasn’t sure whether it could last another round of rain. The concept of depreciation wasn’t applicable at all. The exuberance fed itself and there was a huge bubble in the making. This trend was seen across Indian cities. The builders , brokers etc all behaved as if the market would go on like this, huge demand is there etc. The prices used to rise every week by almost 500 Rs per sq feet in some cases (amounting to additional Rs 5,00,000 for a 1000 sq ft property in a week!!) They forgot that incomes of individuals are revised usually once in an year and not everyone is a millionaire in India. The real estate dream is over. In the euphoria they had come out with grand equity share offers which were prices at a huge premium. Now all are down by almost 70-90% and are still reeling. Their collapse also led to a huge concern on mutual funds whose fixed maturity plan offers weer on the brink of default. There are concerns on banks over increase in real asset non-performing loans as well. Very cleverly, the real estate sector seemed to have passed the collapse to the global crisis. They are asking for help from RBI, government and whichever source. They are threatening that without support there would be massive unemployment etc. However, despite all the mess, we hardly get to hear about any reasonable decline in housing prices. At the most you hear is builders planning to offer a 5%-10% decline when prices have increased by almost 300-400% in past 3-4 years!! This discount was available as it is even in good times. The government should only assure support if they reduce the prices substantially. Otherwise, it will not solve the problem. The builders need to be taught a lesson and understand building homes for others isn’t only about crazy profits and that too forever.